In this video, Matt Gauthier teaches how to do a rim delay. A rim delay is a form of nail delay, or spinning the frisbee on your finger. When most people think of the delay, they think of the frisbee balanced in the center on their finger nail. A rim delay is different. Instead, the inside rim of the frisbee is balanced against the nail. Though a rim delay does take practice to master, it can be faster to learn that the center nail delay. Yet when it is mastered, it provides an enormous depth of tricks and control over the flight of the frisbee. 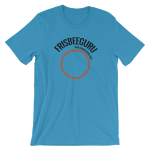 It is truly one of the fundamental skills of freestyle frisbee beyond throw and catch. Check the video for an indepth tutorial on mastering this skill. Ryan Young demonstrates how to do a Behind the Back Pull. With clock spin, set the disc on your left side. Then reach behind your back with your right hand. Take it in softly and let it swoop behind your back.